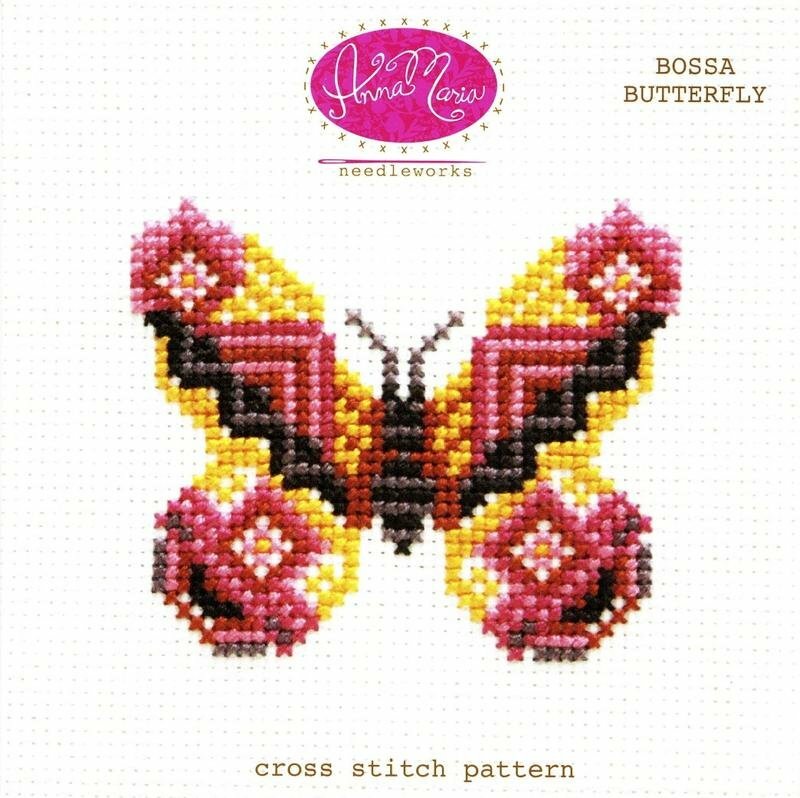 The Bossa Butterfly motif measures 36 stitches high and 43 stitches wide. Finished height and width will be dependent on the particular cloth that you choose to complete the stitching. 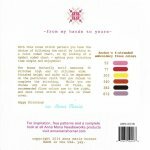 While you can choose any six colors of floss, my recommended floss colors are included, and more cross stitch tips are on the inner cover.